Get up close with these stunning creatures. Birds of prey featured heavily in Norse sagas and Viking mythology – now you can get up close with these stunning creatures at Barley Hall. Meet a variety of ravens, owls and falcons in the medieval Great Hall, and learn about their significance to the Vikings in the accompanying exhibition. 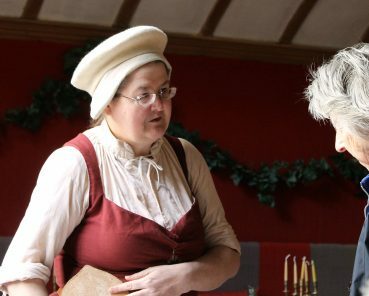 Join us at Barley Hall to meet one of our volunteer Costumed Interpretation Guides as they showcase late Medieval life at the Hall.